Stir the Gin and Asian Tonic Syrup, with ice, in a mixing glass. Strain over an ice cube into a rocks glass alongside the club soda. 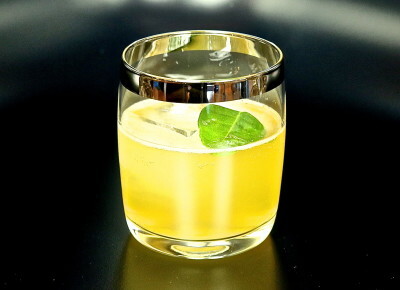 Garnish with a kaffir lime leaf or grapefruit twist. 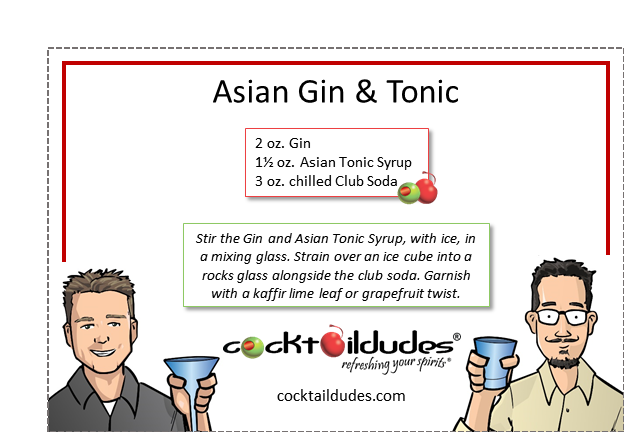 *See our Asian Tonic Syrup recipe/video. Mix-up this homemade Gin & Tonic featuring our Asian Tonic Syrup – a delicious Tonic Syrup void of the traditional bittering element: quinine. Instead, we’ve used two bitter agents commonly seen in Chinese Medicine (Gentian Root and Bupleurum Root) to make a tonic with broad, smooth, and expanding bitter notes. It is amazing! If you enjoy this, be certain to check out all of our Gin & Tonic variations as well. Cheers! !